One of the most famed strains, Bruce Banner, aka the “Strongest Strain on Earth” according to High Times is now available in this exclusive seed release by Dark Horse. This regular strain has been measured up to 30% of THC which should tell serious cannabis enthusiasts all they need to know why they absolutely would want to grow this legend. It has finally come: The long awaited seed release of one of the most legendary strains every created, the famed Bruce Banner! The story of the Bruce Banner strain goes back to when the founder of Dark Horse was in college at the University of Montana. He spent his time there wisely, going through seeds like a maniac in his search for the best Sour Kush phenotypes and how to combine with them with the most powerful hybrids. When Dark Horse got seeds by JLP and Lonestar from Overgrow forum, their impressive breeding program inspired him to do his own tinkering. The big breakthrough that would ultimately lead to Bruce Banner, one of the “Strongest Strains on Earth” according to High Times magazine, was when he won a pack of seeds of the original Strawberry Diesel on Seedbay, an event of such a magnitude that the seeds dropping for auction crashed the entire server! It was then when Dark Horse knew that he had found the males he was looking for so frantically! The mother of Bruce Banner is the Original OG Kush, a strain which seems to have more names than any other strain in existence but it’s still the same genuine pre-2005 oldschool OG, regardless of how often breeders gave the strain fancy new names over time. When Dark Horse finally released Bruce Banner back in 2008, there had been long lines and even longer waiting lists since everyone and their mom wanted to get a hold of the strain. After release, multiple award wins followed, like the High Times Caregivers cup 2009, High Times Cannabis Cup Denver 2014, Best US Non-solvent Hash 3rd place, Highest Tested THC in High Times Cannabis and then the title of “Strongest Strain on Earth” (High Times) along with number 9 on High Times 25 Greatest strains of all time! 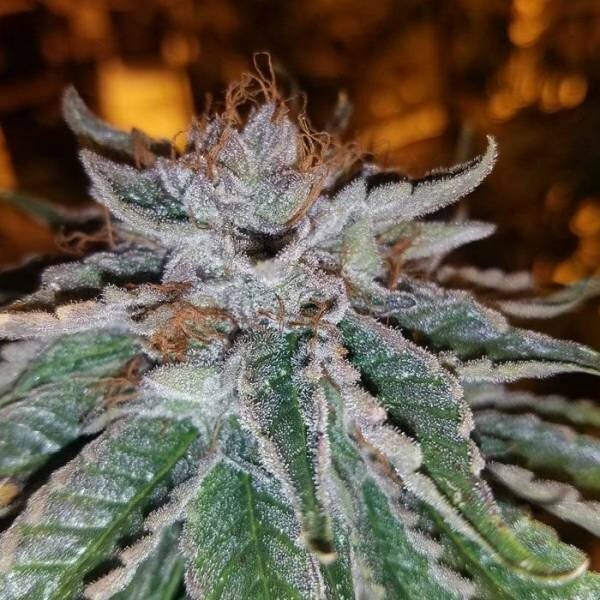 When it comes to growing Bruce Banner BX 2.0, the females of this regular strain bring a medium to high yield on the table with a still-reasonable flowering time of 10 weeks. There isn’t too much to growing this Sativa dominant hybrid. Growers shouldn’t expect any troubles plus she doesn’t have any particular demands for feeding or her growing environment. Where Bruce Banner BX2.0 shines is the strain’s extraordinary potency. The plant has 25% of THC with some phenotypes having been measured an incredible 30% which should explain how she got the famed “Strongest Strain on Earth” title. Bruce Banner is a legend among cannabis strains. 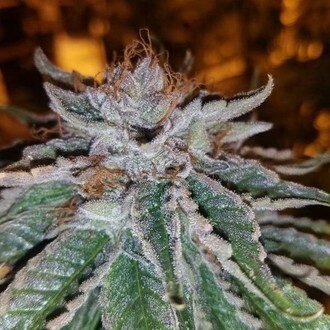 With the seeds now made available by Dark Horse, growing this famed strain and then being able to enjoy this ultra-potent smoke should be reason alone to grow her! Awards No. 9 High Times 25 Greatest strains of all time.